Logitech G is excited to share our latest technical advancement, designed to help you level up your gaming. Available through our recently launched G HUB software, this new update will only be available on April 1, 2019. 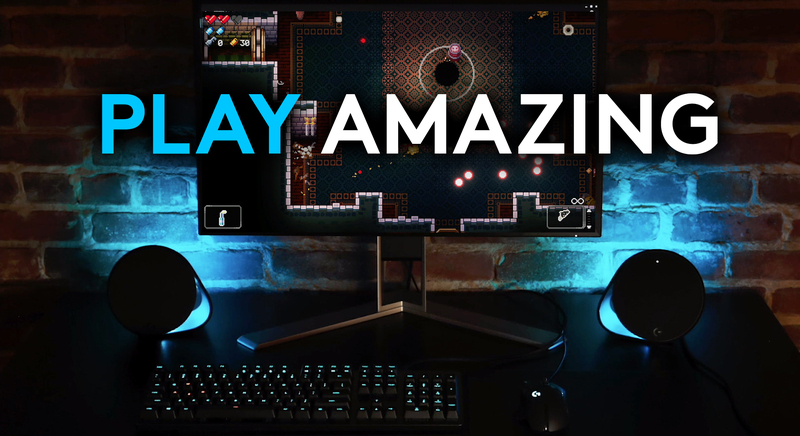 Called #PlayAmazing, this software update helps you unlock the full potential of the entire Logitech G lineup. To use #PlayAmazing, just download the software and unlock previously impossible capabilities. The software will automatically recognize the Logitech G gear in your system, and will engage any time you are in game and the mouse and keyboard have been left untouched for 5 seconds. To take back control, simply place your hands back on your gear, and use normally – it’s that simple. #PlayAmazing is only available today so be sure to download it immediately, and let us know what you think in the comments!